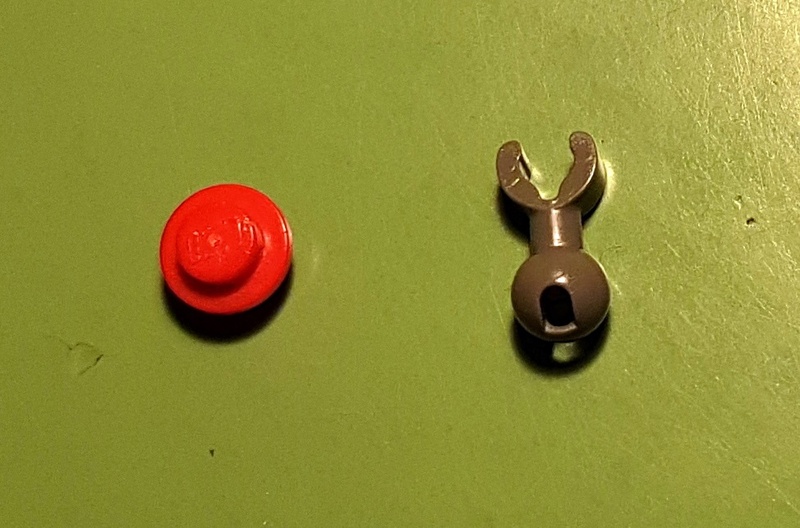 Is this gray hook an original LEGO part? Is the gray "hook" an original LEGO item? Please see the red plate for size comparison. This looks to be Arm Piece with Towball and Clip. There are quite a lot of copycats these days. So there is always a chance it is clone piece. To confirm this is genuine LEGO piece best thing would be to look for LEGO logo, but it is not always available on small pieces. Alternatively you can look for "30082" which is a part number. What is the name/number of this LEGO brick, used to make “cat eyes”? Is this an original Lego part? Is this an original part made by LEGO?